Fourteen-year-old Josefa Vesuka is aiming to be one of the stars of football in the country. He is undergoing the grassroots player development programme set up by Fiji Football Association at Nakaikogo Sanatan Primary School. Speaking to Fiji FA Media, Vesuka said he was very proud to be part of the centre here at his school. “I am very happy that we are part of the grassroots development program because I have an aim of playing for my country,” Vesuka said. He said the development centre gave him chance to play football. He said he was following the footsteps of his uncles Iosefo Verevou and Epeli Saukuru. “I have seen my uncles Sefo and Epeli playing for the national and Rewa team and I want to be like them,” Vesuka said. The class eight student was one of the goal scorers and best players for the school from the Under 12 to Under 14 grade. 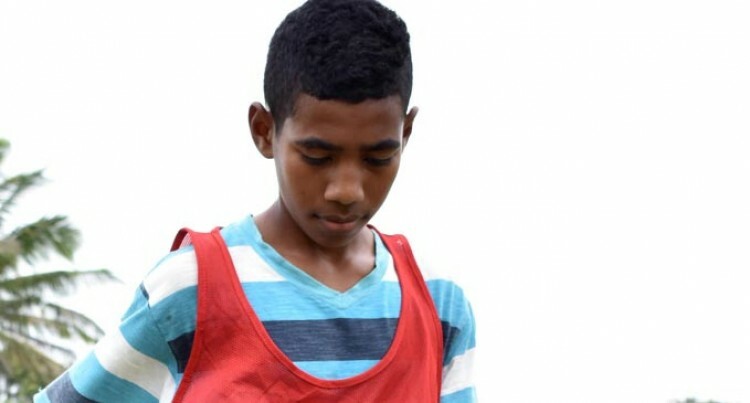 He was also part of the Rewa Primary team for the Vodafone Fiji Primary School’s IDC last month. Vesuka said he enjoyed playing football and would continue playing and would like to go overseas and play. He said that the school’s participation in the Inter-Primary gave him a lot of exposure and experience. “I have played in the inter-primary competition and Fiji Primary School’s IDC and that had gave me lots of confidence and exposure and I think there should be more competition for us to get experience,” Vesuka added.